Just in case you love chokers as much as we do, check out these 15 fantastic designs, ideas, and tutorials that will help you make your own as well. Remember those henna style chokers we were talking about above? Well, the original ones from when we were kids were made of cheap plastic that ended up itching our necks and we’ve seen that precise kind in stores again. The beauty of making your own accessories, however, is that you can make adjustments to account for things like that! 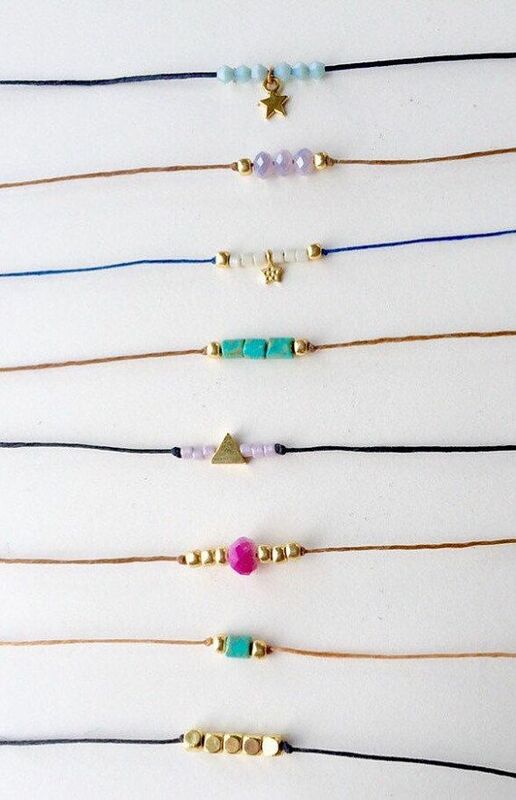 That’s why we were so happy to come across this henna choker tutorial from Brit + Co.. They show you how to weave the classic shape but using a more skin friendly elastic cord than the plastic you knew before. 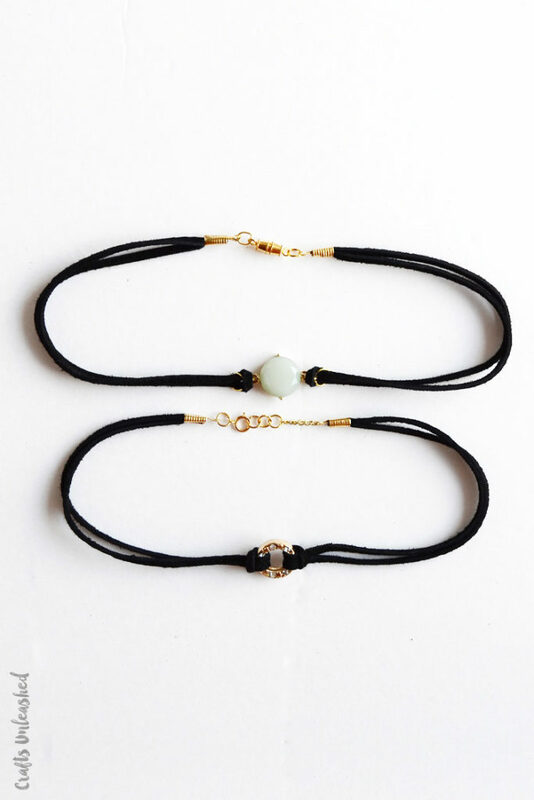 Do you like the idea of a black choker but you’d rather add some embellishment and keep the choker itself simple, since you don’t have much experience with braiding or weaving jewelry? Well, that’s simple enough to do! Just in case you still feel like you need some guidance, though, here’s an awesome tutorial from Crafts Unleashed that will show you how to string a bead or a ring charm in the centre and attach a clasp at the back for easy adjustments. Have you ever walked into a sewing or crafting store, seen all the countless types of decorative trim, and wished you could find a wear to wear some even though you don’t sew because the designs are just so pretty? Well, A Beautiful Mess is right on the same page as you, because that’s exactly what they’ve done here! 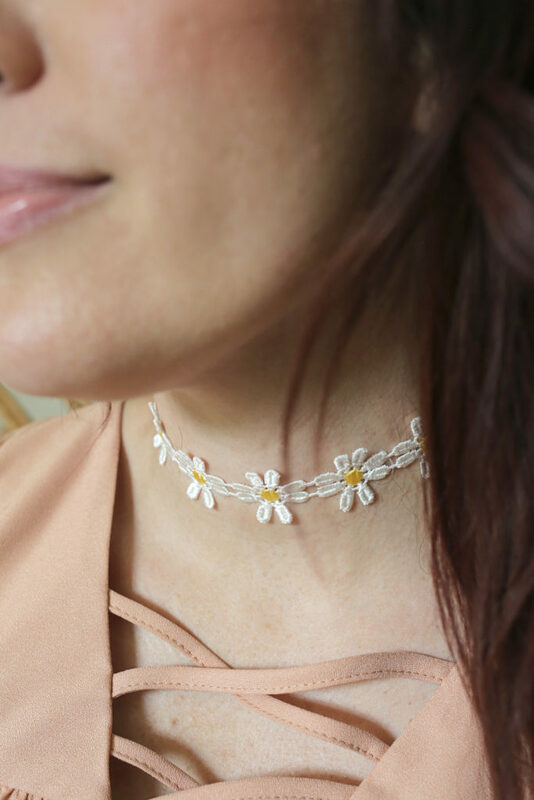 Check out their tutorial to learn about making a shockingly simple daisy chain choker from a strip of fabric trim with a clasp attached at the ends. Were you intrigued by the centred beaded design we showed you earlier on our list but you’re just not sure you want to wear something quite so chunky and bold? In that case, we think perhaps you’d prefer this more delicate design from Designs by Illa! 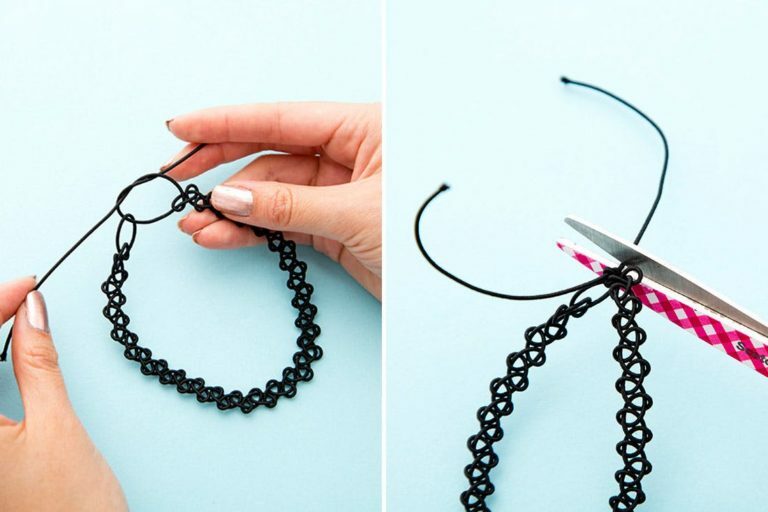 They show you how to use a thinner cord and smaller beads, centering the beads with a simple knot in whatever combination and colours you please. We love that this design lets you be more subtle without losing any of your glam! 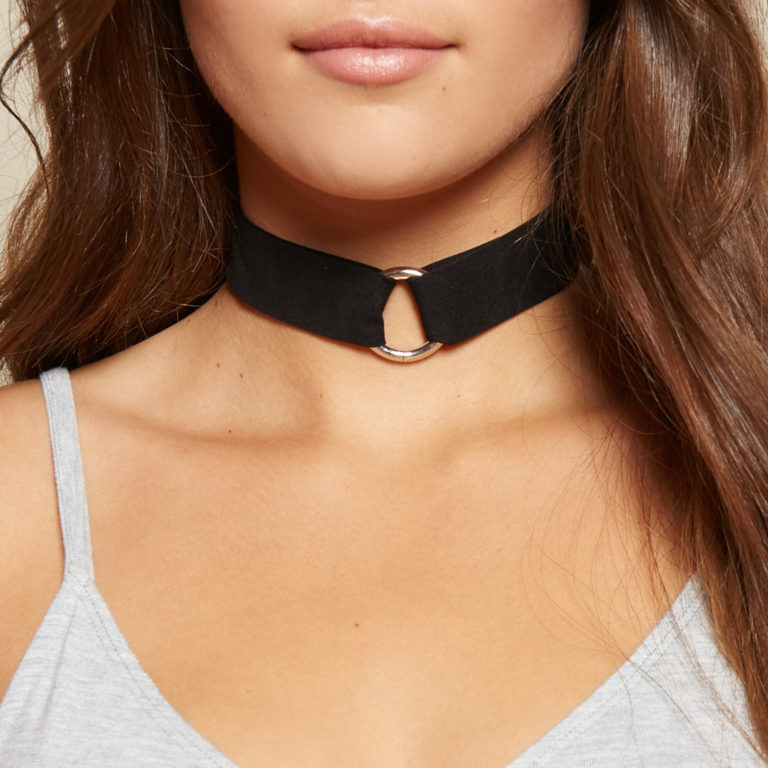 Are you still looking for an aesthetic of choker that hits somewhere in between the ones we’ve shown you so far? Then perhaps simple and bold are the best goals for you to reach for! We loved the way Brit + Co. used a decently thick black velvet ribbon tied like a big bow but, other than some fascinators on the end to stop the ribbon from fraying, kept the look very simple besides that. It’s a look that’s incredibly easy to create and also very east to pair with things for a classic appearance. Ribbons and embroidery threads are lovely and all, but what if you’d rather a more metallic aesthetic in your jewelry pieces? In that case, we think perhaps you’d much prefer working with chain! That might sound intimidating if you’ve never worked with jewelry making supplies before but, if you follow a clear tutorial like this one from She’s Got The Notion, we think you’ll be a-okay! 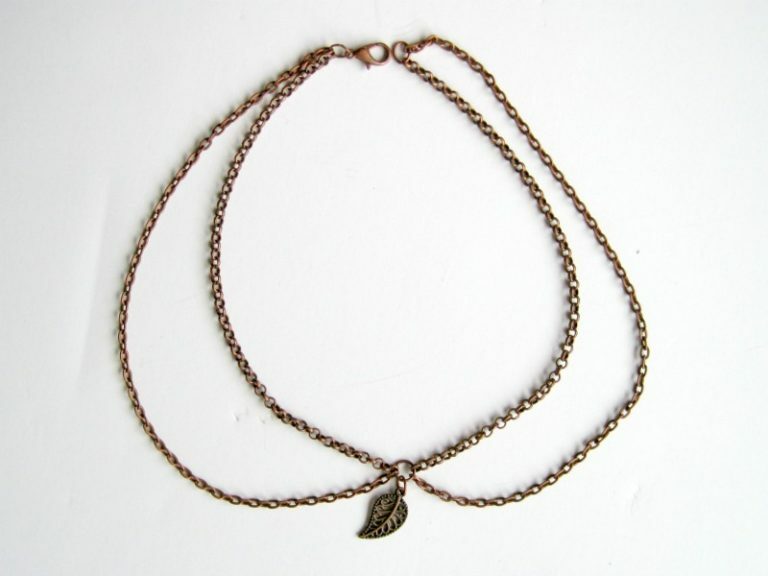 Check out how simply they made this dual chain design with an adorable leaf bead charm in the centre. It almost looks like an industrial, negative space version of a collar necklace! Speaking of industrial looks, have chunkier chokers always been a little more your style because they let you make a statement without adding really bright colours, which aren’t necessarily everyone’s thing? In that case, we’d be willing to bet that this awesome metal ring necklace is a little more your speed! Garage Clothing Blog walks you step by step through the process of making the entire piece from scratch (besides the metal ring itself, of course). 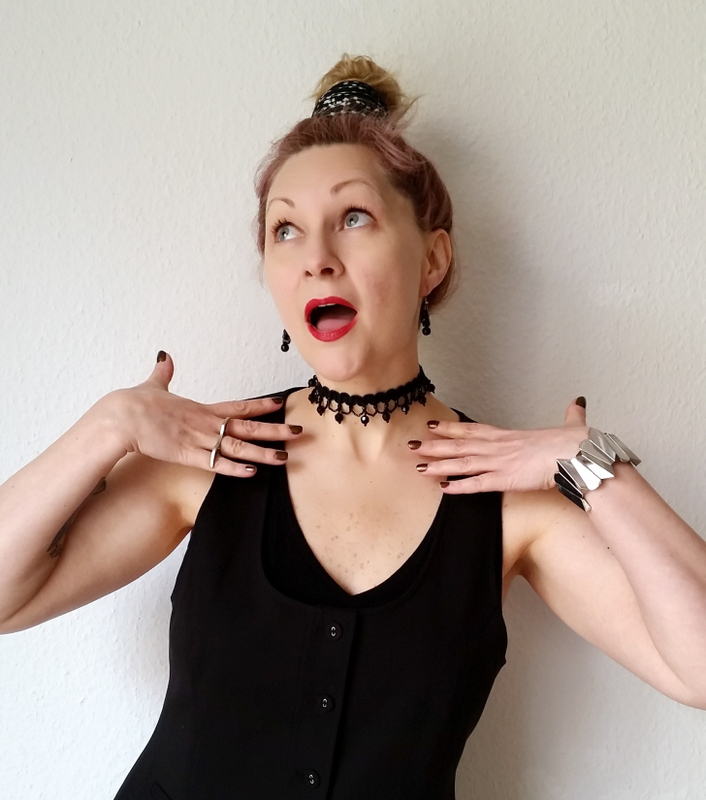 Were you pretty enamoured with the idea of making a simple black bow choker but you’re just not sure the chunky velvet style that we showed you above is quite what you’re looking for? Well, that doesn’t have to mean you’re out of luck when it comes to bows! 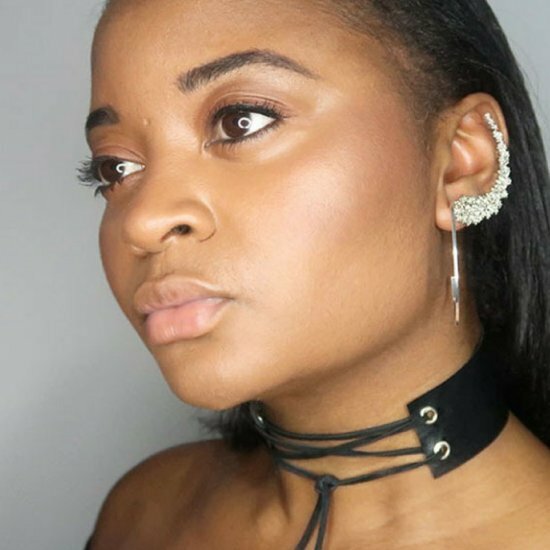 This tutorial from Style Stories is actually here to show you just how simple a bow choker really can be to make, wear, and style with other things. 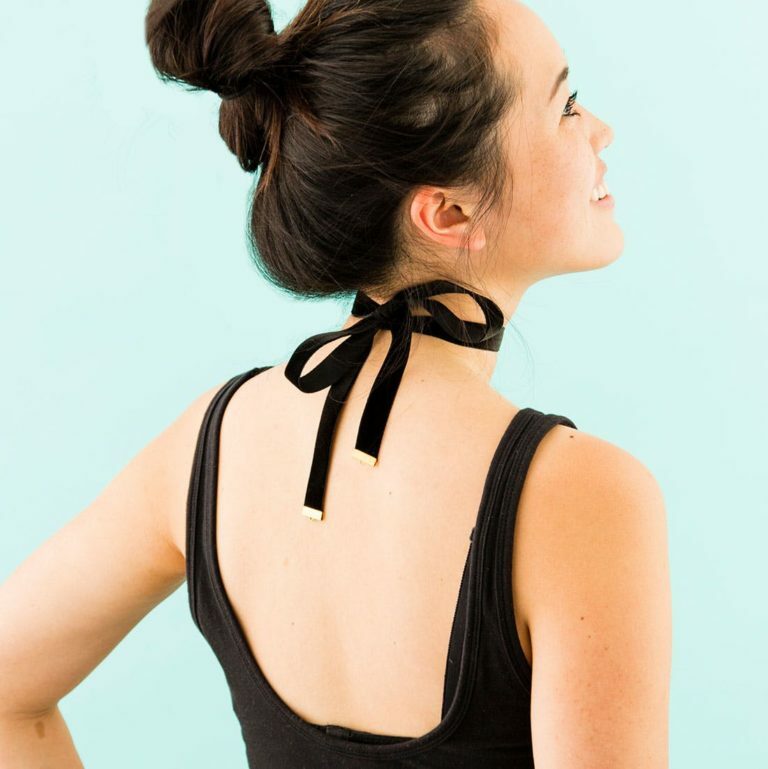 Cut a length of suede jewelry string, tie it in a neat bow at the nape of your neck, and voila! While we’re genuinely very big fans of everything we’ve shown you on our list so far, we do have to admit that we’re probably feeling the chunkier designs the most. There’s just something so simply rad about make a statement with a choker that’s impressive and well done but simple in style and concept! 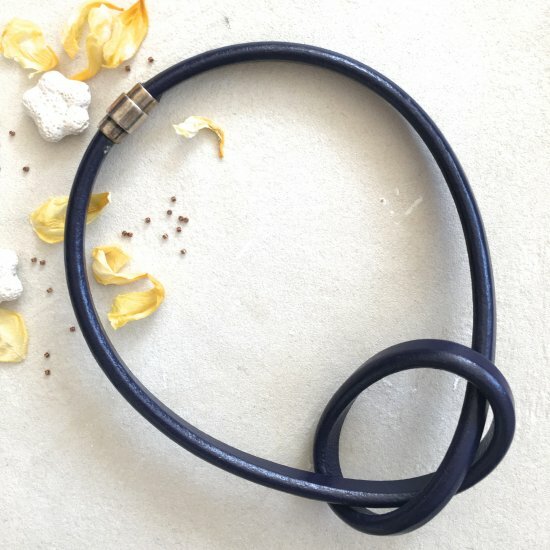 That’s why we loved this thick knotted leather cord idea from Happiness Wherever so much. They show you step by step how to attach clasps on each end, as well as how to tie a simple, loose knot in the middle that will hang just so at the base of your neck. Do you actually already have a little bit of experience working with leather and now you’re looking for options that will actually display your skills, without getting too complicated? In that case, we think you sound like the perfect person to make something like this lace up choker that mimics the way a corset is laced! The Crafterpreneur shows you how to make it happen with leather and some metal grommet loops. We like the way it simultaneously adds some vintage aesthetic and some edge all at once. 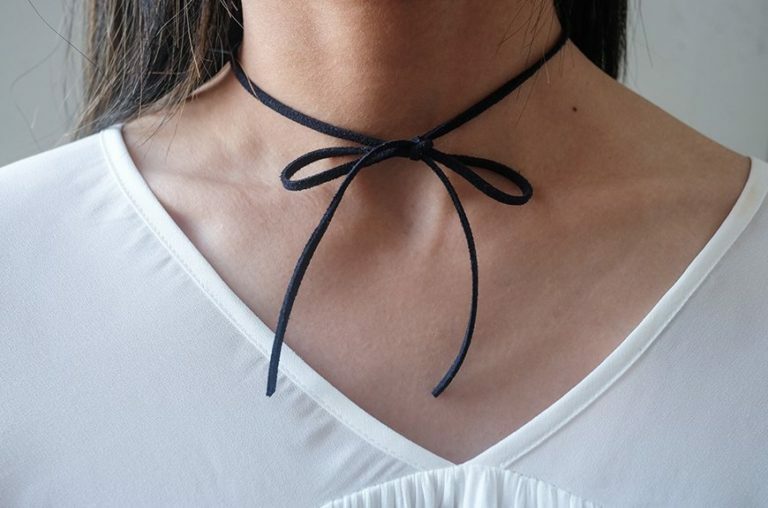 We’ve always loved simple wrapping and typing chokers because we like the way they add style without really detracting from the rest of our outfit and look, but we’ll admit that sometimes the tied part of bow starts to annoy our necks if we wear them too long. That’s why we thought this extra long wrap-around choker idea from Brit + Co. was such a cool one! 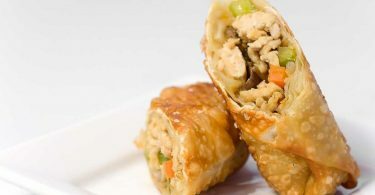 Simply wrap it and let the ends hang. We love the drop beads they attached at each end to weigh the strings down a little and stop them from unwrapping, but also to add a bit of drama to the look! Were you pretty intrigued earlier when we were talking about the idea of turning fabric trim into jewelry, but you’re just not sure the daisy chain idea was quite your thing? Well, when there are so many amazing trim designs out there, featuring all kinds of embellishments, we certainly can’t say we blame you! This beaded design from Dream A Little Bigger, for example, shows you an awesome way to turn a slightly fancier looking trim into a choker that adds some nearly gothic looking style and fancy to even the simplest outfit. We think the finished product is quite grand despite how simple it is to make! 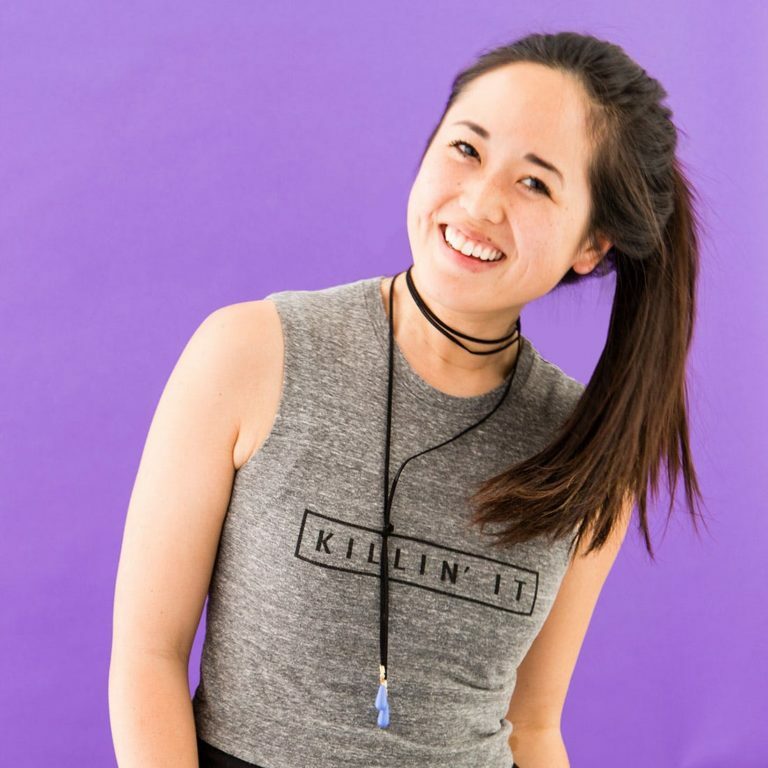 By now you’ve seen all kinds of different clasps and fastening styles for chokers on our list, but what if you’re looking for something a little more unconventional or neat looking than what you’ve scrolled by so far? In that case, we think perhaps you’ll be interested in the way Sarcastic Ashtray created a choker that closes just like a belt! Of course, this belt buckle is much smaller than the kind you’d put at your waist, but the effect is an impactful one nonetheless. 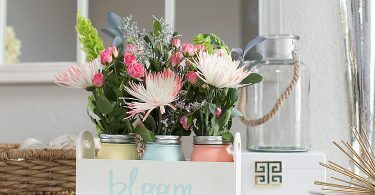 See how they did it in just a few surprisingly simple steps! Have you always loved fashion pieces that reflect where you come from and show people your country roots, even though you also like keeping up with fashion trends? Then we think you’ll be pretty pleased to see this DIY choker design from Quiet Lion Creations that combines both of those things! 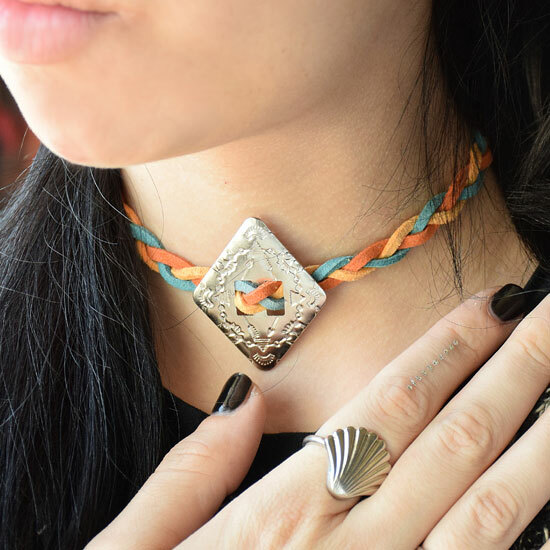 Their tutorial shows you how to braid colourful suede string and slide a metal yolk piece into the centre for some reflective but certainly Southwest inspired glamour. If you’re going to make something yourself, would you rather it look like you actually made it? Then why not make yourself a piece that’s actually customizable, even after you’ve finished and worn it once or twice? 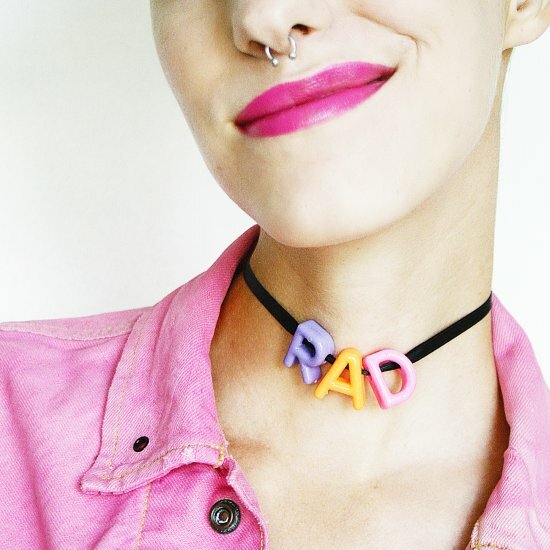 We loved this super fun plastic letters choker idea from Clothes & Curfuffles because we like the idea of being able to switch up our fashion message whenever we please. We also like that the chunky letters and bright colours make it look home designed; of course we made it ourselves, thank you for asking!